Carol Danvers aka Ms. Marvel on X-Men First Class? Well not an exact appearance but her name is found on a viral iPad app that features a fictional magazine called "Extra Magazine". 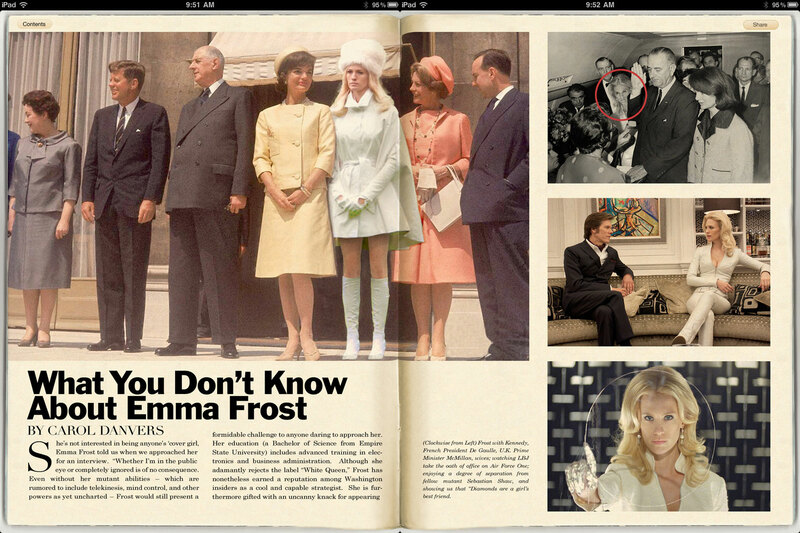 The magazine contains interesting fictional articles about the early Mutant exploits of Charles and Erik together with the X-Men and Hellfire Club. I like how the reality meets fiction going on this viral but what really captures my attention is the appearance of Carol Danver's name on an article about Emma Frost. To those who don't know Carol Danvers, she is a superhero known as Ms. Marvel. Many fans expresses deep shock about this development. Maybe because the fact that Ms. Marvel is more associated with Avengers than X-Men. But if we will follow Matthew Vaughn's vision over the franchise that he will make X-Men closer to the comic, then Carol Danvers' inclusion to the next films may be more sensible than we ever think. 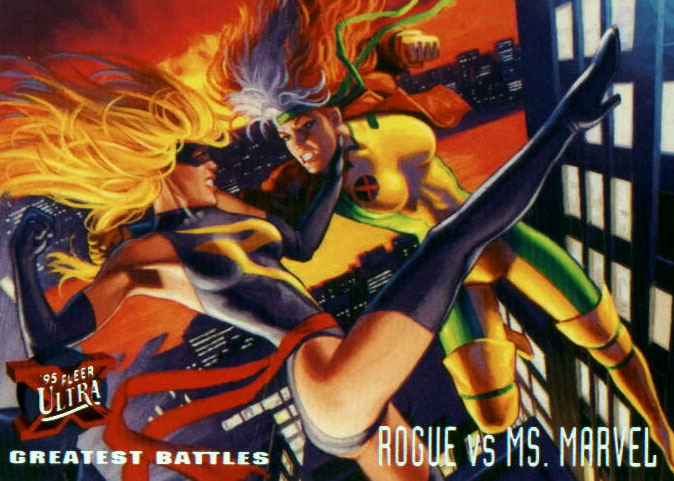 Maybe this is the time that we will see Rogue's real origins where Carol Danvers played a big part. Wow, suddenly I became more hyped over First Class. It looks like it will be much better than what I expect. Also on some reports, there are also confirmation that Hugh Jackman is having a cameo on First Class. Don't bother asking me for links. Just google it because to be honest, I'm less excited to see Wolverine on First Class. X-Men First Class hits local theaters here in Manila on June 2 while US audience will get the chance to see it on June 3 from 20th Century FOX and to be distributed by Warner Bros.. This is it Marvel, bring it on! @kaizer yah just checked her background. and carol did become a magazine writer and focused on feministic articles. Wow I'm liking how Vaughn is handling this. The attention to details are extraordinary.